We conducted an interview with Talk Radio about the possible effect of additives to ham and bacon. 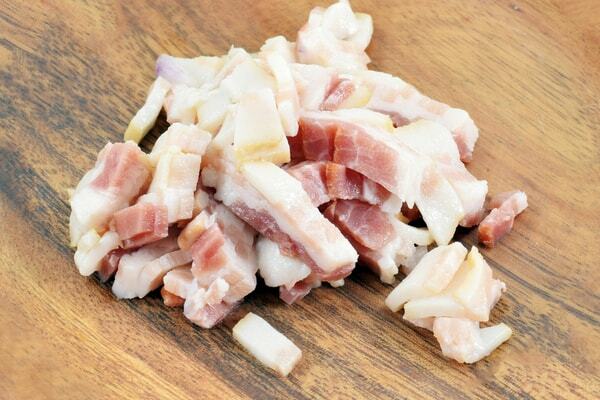 Leading scientists and a cross-party group of politicians are calling for chemicals called nitrites to be removed from processed meats like bacon. Cancer specialists and politicians are among those backing the campaign to take out nitrites. They say nitrite-free alternatives are safer and should be more widely used. The British Meat Processors Association said nitrites are used in curing meats to help preserve them and add flavour and they are authorised additives. They said the European Food Safety Authority found consumer exposure to nitrites and nitrates as food additives was within safe levels for all population groups, except for a slight excess in children whose diet is high in foods containing the chemicals. MPs and doctors said there was a “consensus of scientific opinion” that, when cooked and eaten, nitrites produce nitrosamines – chemicals which can cause cancer. They said producers of Parma ham had not used nitrites for 25 years and more recently Nestle in France and Finnebrogue in the UK had produced mass-market products such as bacon and ham that did not use chemical additives. They also called on the government to launch a public awareness campaign, similar to the war on sugar and fattening foods, to raise awareness of the risks of nitrites. The coalition is led by Professor Chris Elliott, the food scientist who ran the government’s investigation into the horse meat scandal, and Dr Aseem Malhotra, a leading NHS cardiologist. Dr Malhotra said the meat industry “must act fast, (and) act now. But a spokesman for the British Meat Processors Association said nitrites helped to hinder microbial growth and protect against botulism, a serious form of food poisoning. “The industry is constantly looking at the levels of nitrites and nitrates, but reductions have to be balanced against the food safety issues and minimising waste,” he said. If you have any questions or concerns, dont hesitate to get in touch or give us a call. Alternatively book an appointment or visit one of our samedaydoctor private walk-in clinics. Will there be a new “Pudding Tax”?